Infrastructure spending in Ontario has tapered and it could reverberate through the province’s economy for years to come. A report from the Canadian Centre for Economic Analysis (CANCEA) determined that the federal government has fallen behind on its commitment to invest in Ontario’s infrastructure, like transit and transportation. A sluggish economy, not to mention inadequate transit and transportation, will adversely affect real estate, especially in Toronto. “We’re the largest city, from a population point of view, and we’re growing by about 100,000 people per year, so everyone recognizes infrastructure investment has not kept pace with our population and economic growth,” said Andy Manahan, executive director of the Residential and Civil Construction Alliance of Ontario. The CANCEA report, Infrastructure Update 2018: Ontario Infrastructure Investment—Federal and Provincial Risks & Rewards, notes that infrastructure investment peaked eight years ago when 4.2% of GDP was spent. However, it has since diminished, with the decade-low occurring in 2016 when only 2.4% of GDP was invested. But because of the declines, federal and provincial investment, as a share of GDP, needs to be 5.4% for the next 50 years. 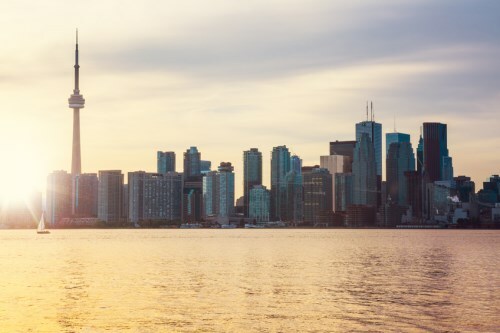 “Toronto represents close to 40% of the provincial economy, so any numbers that show a downward trend for the province are likely to have the same negative impact on Toronto,” said Manahan. According to CANCEA President Paul Smetanin, the federal government benefits tremendously on the spinoff from infrastructure development by collecting income, production and consumption taxes. However, because it is not holding up its end of the bargain, it is disproportionately profiting off of the province. Between 2011 and 2018, total infrastructure spending fell short by about $53bln across all asset classes, added Smetanin. “If you look at the way the population has changed and grown, and the way the economy has increased its scale, our economic modeling says about $53bln more should have been spent,” he said.